Been posting a lot of great results with my Nox but didn’t really bring it to a park I’ve hit and my friends hit with other machine or my 3030 and Deus. Hands down this machine just keeps amazing me and man I’m not sure I can grab my 3030 anytime soon. These few finds were from two very short hunts but where this stuff was dug was smoked by me and my buddies and who knows who else. Dang man, you're killing it! That IHP and V nickel are in great shape! Ya I was on vacation this week so gave me time to work on the Nox and dial it in...and....its locked and loaded!!! Man PJ I appreciate your patience and kindness in getting me out and giving me a digging partner this week on short notice. Should be a great year and its only April!!! Congrats on finding all the real good stuff! Good stuff, that machine is working well for you! Yep, glad to see you are killing it with the Nox. I've had my 600 for about a month now but have only gone out on very short hunts, but... I've scored silver and wheats or something good, at the very least. I look forward to getting out on all day hunt like I'm used to doing to see what the differences are between my Nox and my Safari. Pictures are fantastic! Nice job on your hunt! Way to go, Mike! If you don't mind sharing, what settings were you using? Nice finds. You’re killing it with the Nox! 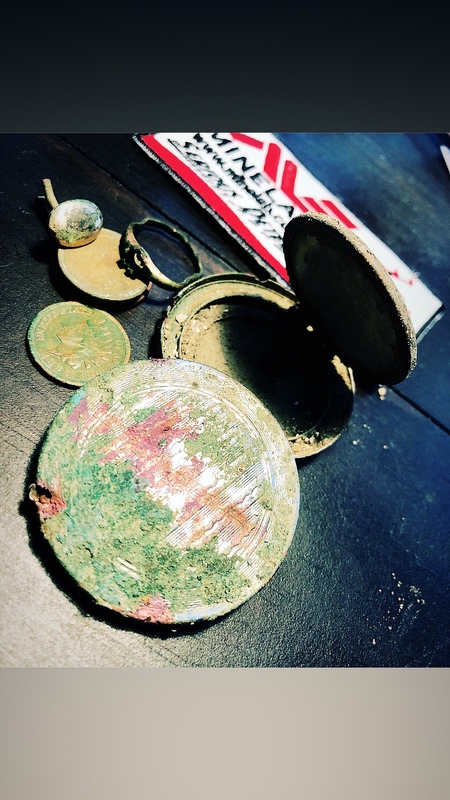 Another nice outing with the Equinox Mike, Congrats on the finds! Do you have it set to high tone on 12-13? I've only been able to put about 5 hours on mine so far but that should change soon. Good to see you are having great success with the Nox, looking forward to seeing what you dig up next. HH! Way to go Mike! Crushing it for sure! What a nice batch of saves Mike . The photos you take are always great . Your hunts look so darn fun . We are getting blasted with snow rain wind and ice as I am guessing you are also. Good to see you got out and saved some keepers before it hit. Nice finds. The Nox must really be good if you like using it more than the 3030.